You can prepare this mix at home, and save money. You may even want to put this in a pretty jar and give as a gift. Make your own Swiss Mixx Cocoa Mix at home. Sift all ingredients together three times. Store this mixture in a tightly sealed container in a cool place. When ready to use, you can add a couple of heaping tablespoons to hot water. Does this use granulated sugar or powdered sugar? thanks for letting me know what brands worked out well. I often pick up Hersheys, next time I will pick up Nestle. This recipe was great, thank you so much. I also added non dairy creamer powder to it and a bit more sugar to take away the bitter taste from cocoa powder. We also tricramered it just using non dairy creamer instead of the non fat dry milk. Tasted great also. 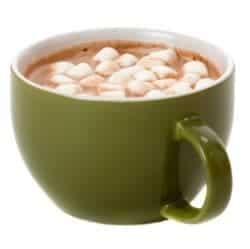 Any copy cat recipes for “sugar free swiss miss cocoa”? This turned out so good! And it was cheep to make!